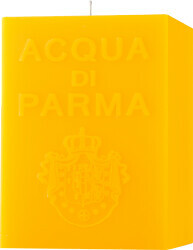 Uplift the senses with the Acqua di Parma Cube Candle, scented with the iconic Colonia fragrance. With notes of Sicilian Citrus, Bulgarian Rose, Jasmine and Amber, the complex scent with infuse the home with the brightness of the Med. The candle is a geometry of light, perfume and colour. 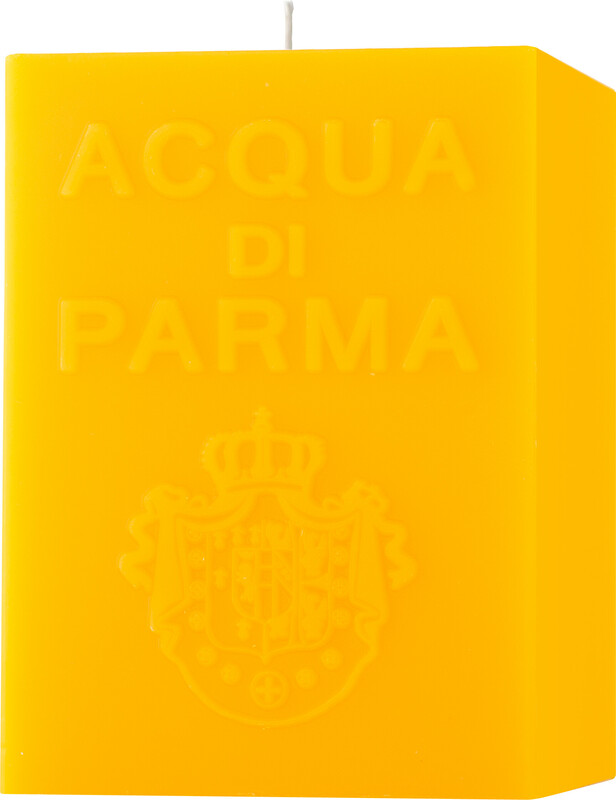 A unique object that enhances every room with classic style and sensory bliss: simply light, relax and immerse yourself in the heritage of Acqua di Parma. The sophisticated candle design is enhanced by its well-defined, hand polished surfaces that work to highlight the embossed crest. The candles burn only from the inside, leaving the external decorations intact. This candle will burn for around 60 hours.